Over the course of my career, I have participated in many forums debating funding for Jewish day school education. Most of the time, I was principal of a Jewish day high school arguing for more funding for my school. Across the table often were representatives of Federation, the community funding agency charged with distributing money to a variety of constituent agencies. In the early days, Federation was the enemy, the force that would potentially deny a Jewish education to needy families. As time passed, I took a different view of Federation. In truth, they were not the enemy. They were decent, intelligent people who wanted to do the best in their stewardship and management of community funds. Theirs was not an easy job: to determine with the wisdom of Solomon how much money went to each agency, all of whom were competing for allocations. A friend of mine, Geoff Frisch, of blessed memory, with whom I studied Torah weekly, gave me an important piece of wisdom. Geoff, a master salesman, introduced me to the tapes and writings of Zig Ziglar, a motivational guru, who espoused seeing things “from the other side of table,” seeing things from the vantage point of the opposition and recognizing that they have a legitimate point of view, even though you disagree with them. Zig would say: “always look for the win-win situation and you will be successful.” Geoff practiced that approach and imparted it to me as well, and for that I am eternally grateful to him. I thought of that negotiating approach as I watched Lincoln, a thoughtful and engrossing take on the presidency of Abraham Lincoln. The film deals only with a small piece of Lincoln’s presidency, but it reveals Lincoln’s nuanced tactics to get his legislative agenda passed by Congress. In January of 1865, the Civil War is almost over, but Lincoln is troubled by the fact that even though the slaves have been emancipated, there is still no constitutional amendment making slavery illegal. Only a constitutional amendment will bring closure to slavery in America. The Thirteenth Amendment, passed in the Senate, still needs House ratification. Moreover, within Lincoln’s own cabinet and party, there is division. Some want to end the war first; others feel that if the war ends first, there will be little incentive to pass the amendment, and so Lincoln initiates a strategy to secure enough votes to pass this critical piece of legislation before war’s end. The strategy is complex and nuanced. Lobbyists are hired with the explicit goal of securing the votes of those who are not yet committed to vote yea or nay. The approach they use varies from person to person, and Lincoln himself sometimes steps in to apply political and social pressure, always seeing things from the other’s perspective. Ultimately, the amendment is passed and Lincoln feels he has forever ended slavery in America, a historic legacy for which he will be remembered. 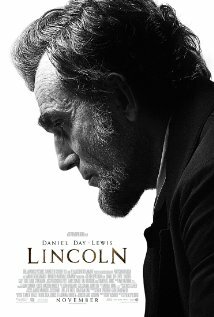 It is a remarkable performance by Daniel Day-Lewis that separates this Lincoln from any other film about this illustrious president. We can see and hear the thoughts and words of a man focused on his mission in spite of much political opposition and in spite of stress on the home front where his wife Mary is still grieving of the loss of their son Willie three years before. In the face of these pressures, Lincoln keeps his cool and enables those around him to do so as well. Often he is able to diffuse a situation with an amusing story or the sheer power and logic of his argument. Jewish tradition fosters argument for the sake of arriving at truth. The Talmud tells us the sages Hillel and Shammai often disagreed with one another, but their respective points of view have endured because of the purity of their motives. So it was with Lincoln and many of his opponents in Congress. Lincoln did not see them as the enemy but as friends who needed to be convinced of the correctness of his position. His nuanced management style is worthy of admiration as we negotiate our own life challenges. Interesting review, I’m adding this film to my watchlist. Good review. Great cast and subtle direction from Spielberg, but this one was just a bit too slow and dry at times for my liking. Sometimes, but not all of the time.